By developing long-term relationships with a diverse portfolio of clients, Clauser Environmental, LLC is able to creatively cross-pollinate best practices and understanding between industry, governmental agencies, and non-profit organizations. When you join our family of clients, we will work tirelessly to provide you with the science and common-sense approach that drives results. 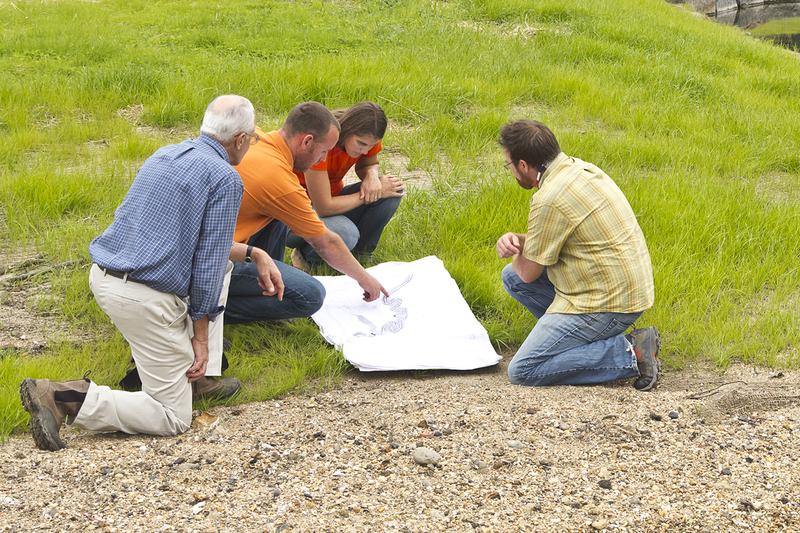 Dr. Clauser reviewing construction plans with the project partners.